This series of entries is always fun for me to knock out. The cover artwork is a large part of the appeal to those who still insist on carrying a physical music collection in their living spaces into 2019 and beyond. Looking at these images through iTunes, Spotify, or other means of digital playback leaves a void when it comes to getting an overall appreciation of what goes into making an album, even more so than the shrinking album layouts brought on as vinyl gave way to the cassette and CD mediums that grew dominant throughout the 1980s. I’m guilty of using Windows Media Player to listen to albums I’ve ripped to my computer, but I often feel the urge to grab the album packaging to thumb through the liner notes or just to look at the photography or the artwork itself. As the years pass, albums are usually re-released, sometimes with different covers. The one advantage that certain media players have over physical formats is that you can actually customize what artwork displays while listening to the music. If you prefer one version of the cover over another, at least you can replace it on your computer, or even alternate between them based on mood. Even if you hate every cover an album has ever been buried behind, you can even opt for a unique image to represent it, be it your own drawing, a favourite painting, or one of the dankest memes the internet has to offer. However, I’m not one to rewrite an album’s visual history no matter how close a good meme can cut to the truth. As my preference is to focus on different cover variants you may actually spot when shopping, here are five more examples that I’ve encountered over the years. Seeing Soft Machine come through on a 50th anniversary tour late last year brought some of their work back into my rotation. The one cover of theirs I know first-hand went through a transformation was their seventh studio album, appropriately title Seven. 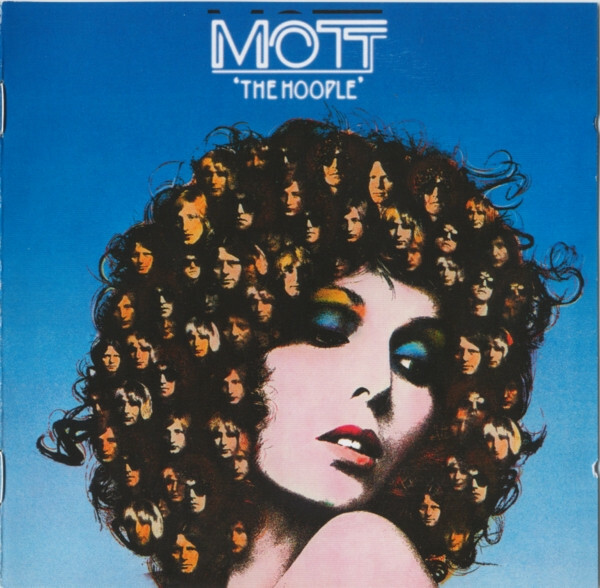 I’m honestly not too big on the original artwork by Roslav Szaybo, who would go on to create iconic cover concepts for Mott The Hoople and Judas Priest after his earlier works with Polish state-owned label Polskie Nagrania Muza. It’s not that it’s necessarily bad, but it makes me think more of disco music than it does progressive rock. However, seeing as Soft Machine play a more free-formed version of rock, I may need to open my mind a little. Perhaps by approaching it from more diversified viewpoints, it would begin to make more sense to me. Could it be what a young, bored Victor Vasarely might have doodled on his graph paper in geometry class? Something I’d see if playing Minesweeper after taking acid? I’m no good at this. In some markets, Seven (now re-titled in numeric form) would feature a radically different cover. When this caught my eye as I thumbed through the numerous crates in the basement of Archtop Cafe & Music in Port Credit, Ontario, I couldn’t remember if I even owned this album or not from the cover. It turns out I didn’t, but my twin brother did. Even though my brother and I live together and I have full access to his album collection, it didn’t mind the duplication. Though not one of their finest, Seven is still a solid album. Plus, it gave me a new cover to discuss. I’ve since learned that this same photo collage that was inside the original gatefold vinyl edition of Seven. Replacing original artwork simply with photos of the band usually irks me, but in this case I can appreciate it on a certain level. Between the four of them, we get a fairly diverse selection of ‘70s styles, with the commonalities being that each has era-appropriate facial hair and that their stone-faced killer expressions look as if they’d each learned that the cameraman had slept with their respective wives. I only wish you could see whole of their outfits, particularly that furry-looking number that Karl Perkins (bottom-left) appears to be wearing. Did he have the boots to match? That may be all that is keeping this version from looking more from the decade than the original. I have to admit that I have more of a connection to Savatage’s work from the late-80s and onward, but I’ll concede that I’m not as intimately familiar with Sirens compared to Gutter Ballet or Streets – A Rock Opera. It still seems to have a good following, so perhaps I ought to give it some more listens. The thing about Sirens that instantly sprung to mind was the significance it has to the record collecting community. Much like the earliest studio recordings of metal bands Motley Crue (Too Fast For Love), Queensryche (their self-titled EP), and any of the pre-Cowboys From Hell Pantera records , the first pressings of Sirens will cost a pretty penny as it was released on a very-small independent record label. If I pull out my dusty, out-of-date copy of the Goldmine Heavy Metal Record Price Guide (by prolific Canadian rock/metal music writer and critic Martin Popoff), I see triple-digit prices listed for each of the versions released on Florida-based metal label Par Records. The prices seem to hold to date, as I still see blue vinyl editions (limited to 1,000 pressings) selling on eBay for around $300 Canadian dollars. What did the original version’s cover look like? Behold this approaching vessel, landlubber! The aforementioned Goldmine record guide only showed a black and white image of the above, but with the colour added I can see more of the detail emerge, particularly the faint image of the woman’s face (a siren) to the right of the ship. There isn’t much colour variety here, but I think the limited paint palette makes the image all the more haunting. This painting, created by Jeffrey King, I would say has the look of a classic album cover that would pair well with a multitude of rock formats. Apparently the band didn’t share my opinion. They weren’t too pleased with the cover, at least according to the FAQ on their official website. While the Old English font of the logo remained the same, the cover image changed once they found wider distribution for their album through Combat (US), Music For Nations (Europe), and Banzai Records (Canada). This is the most commonly found cover for Sirens, which was designed by fantasy artist Terry Oakes. The art looks rather impressively detailed, but do these elfish children have any significance to any lyrics on the album? A connection to the title or any of the songs isn’t as blatantly obvious here, but the girl in the middle may be a more sinister-looking siren, and this time she is flanked by a full-fledged gang. 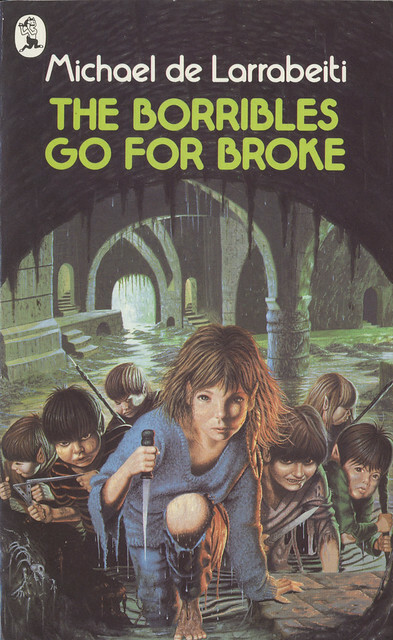 Wikipedia also points out the cover was used on the Michael de Larrabeiti novel The Borribles Go For Broke, so this seems to be a re-purposing of an already existing illustration. As much as the kid to the right of her would makes me want to check underneath my bed on a nightly basis, I prefer the less-is-more Par Records cover. I’m not sure if that’s a popular stance among the Savatage fanbase, but I’d love to see the album get re-branded with something resembling the original sleeve, if not revived altogether. Many acknowledge Entombed as one of the first bands to adopt a “Death ‘n’ Roll” sound, which basically means incorporating more traditional rock-style riffing and groove into death metal. Without looking into it at much depth, I want to say that this met with some controversy considering how fickle some fans of extreme metal can be. For examples of this, look towards the hate Celtic Frost received for dabbling with an unusual hair metal / thrash blend on Cold Lake (though band mainstay Tom Warrior agreed with their assessments) or the initial less-than-happy responses from death metal fans towards Atheist’s incorporation of jazz-fusion into their sound on their Unquestionable Presence tour (as mentioned in the October 2005 issue of Decibel magazine). However, the first Entombed album to feature their revised sound, Wolverine Blues, is generally considered their finest work, and I rarely (if ever) have stumbled across any detractors to this day. This became their signature sound, so by extension of that you likely aren’t much of an Entombed fan if you aren’t into this album. However, fellow death metallers Carcass dabbled with similar elements on Swansong to significantly less praise, though some are willing to go to bat for it (myself included). Anyway, now to the relevant subject matter. I was trying to remember what the gritty image of a skull shown above reminded me of initially. As strange as it sounds, I think it may have been from the closing scene in B-movie horror classic The Terror. No, it isn’t as tomato saucy as the once-fetching Helene’s remains, but that’s just where my mind takes me. I tend to associate skulls with either horror movies, pirates, or science labs. Drummer Nicke Andresson is credited with the art design, which in this case looks to be part of a much larger picture, and guitarist Alex Hellid handled the lettering. The bumpy, cracked texture looks almost as if this was a close-up photo from a wall mural, or it may be a filter applied to the image to make it look that way. I did a bit of digging, but couldn’t find any definitive information about the cover’s creation. When most people in my age bracket hear the word ‘wolverine’, images of the Marvel Comics character quickly spring to mind. I’ve seen the following cover version, as well as a couple variants and cassette promos, featuring Wolvie himself. This edition included a 10-page mini-comic inside the packaging, which can be viewed here. There was even a tie-in of the character in the music video of the album’s title track. This must have been part of the strange distribution deal Earache Records made with Columbia to give death metal bands more mainstream exposure. It came at the cost of omitting one of the album’s tracks, ‘Out of Hand’ , an appropriate title considering the band’s apparent distaste of their forced participation in a Marvel crossover. What exactly is the message conveyed here? Why is he slashing at the album cover? Is it that the band couldn’t find a good enough rhyme for adamantium to fit in into a lyric? If I encountered this as an eight-year old, I still don’t think it would have made me ready for death metal at such a young age. I would have been content to simply pop one of whatever few cassettes I possessed at the time (possibly the Beauty and the Beast soundtrack) and read the X-Men comics from their similar crossover with Pizza Hut. Unlike Wolverine’s disrespectful attack towards Entombed, I at least had enough respect for the comic to wash the grease off my hands from my personal pan pizza before daring to turn a page. My parents always ask me to provide a list of albums that I’m interested in as potential Christmas gifts because they never know what I actually own. Last year, I considered either something from from Ginger Baker’s Air Force or one of his albums featuring bassist Jonas Hellborg, but then in my searching I stumbled across Horses and Trees. Being produced by Bill Laswell peeked my interest, as did participation of organist Bernie Worrell on select tracks. and (of course) the album’s cover. The painting is by Shinro Ohtake, a visual artist who has also collaborated in the music world with the likes of Naked City’s Yamatsuka Eye in Puzzle Punks. I don’t always go in for this style of art, but as abstract as it is, it still isn’t that difficult to identify the horses and their forest environment. It also happened that there seemed to be something about the laid-back nature of the first track I heard from the album (‘Dust to Dust’) that pairs nicely with the image, almost as if it served as the background noise while Ohtake made his brushstrokes. I was taken off-guard when I received my copy of the album since the cover was not at all what I was expecting. My first instinct was that this was some kind of best-of compilation. Outside of certain jazz albums and other exceptions, I’m not used to nor am I fond of using photographs of the artist to make up the dominant image on the cover. I’ll say that while Ginger is not the most photogenic of musicians, at least the picture quality is sharp here. One downside is that they re-use the headshot on the back cover rather than go for a different photo entirely. Still, they could have done worse. Here’s a particularly pre-teen novel-looking image that Amazon.com feature for Horses and Trees, but I can’t confirm if it’s from an official release or only a puzzling placeholder. To the best of my knowledge, this is the first time I’ve used a curse word on these pages. I’m a firm supporter of free speech, but I tend to avoid coarse language in my writing when I can. There’s seemingly no way around it when it comes to discussing grindcore bands, but upon closer inspection, their name sounds like that of gospel act in comparison to others in the same sub-genre. In the interest of keeping those who are faint of heart along for the journey, I will refer to the group as FTF from here on out. When it comes to reading it off the following album covers, you’re on your own. Below is what my version of Mullet Fever, the first grindcore album I ever purchased. I bought it while seeing them play at The Dungeon in Oshawa, Ontario, a venue that Behemoth frontman Nergal apparently called the worst he ever played. This packaging perfectly summarizes the DIY spirit of the grindcore, looking as if just slightly more than the minimum investment went into it. They spring all-out for colour on the outside, but the interior showcases a low-fi, black-and-white spread that looks like something my dad would have printed for me on those perforated printer sheets of yesteryear. I’m not sure if any of these twelve characters should be recognizable to the general public or if they were selected in random internet searches, but I’m sure the followers of now-inoperative webpage Mullets Gallore knew them each intimately. I think that the man in the second row on the far-right is former NHL defenseman, coach and broadcaster Barry Melrose. It’s difficult to be certain due to the heavy image distortion, but the only mulleted hockey player I’m willing to rule out is Jaromir Jagr. I’m also getting a jock vibe from the guy in the same row but far-left, with hair that’s giving of hints of Brian Bosworth, but nonetheless he would no doubt have amassed a small fortune in nerd’s lunch money. I could go on all day since each mane is worthy of a discussion all on their own merit, with every picture truly worth a thousand words. This 2005 re-issue was intended to capture recordings of the group’s first lineup as a full band (it was originally more of an experimental solo project of guitarist Topon Das), and was released ahead of their debut recording with underground heavyweights Relapse Records. This time around, the art was handled by vocalist Mel Mongeon. She was not actually the vocalist on the album, but has handled the artwork on most of FTF’s releases since joining in 2002, so you could view this as setting their aesthetic tone going forward. However, was the change necessary? Possibly. There’s an outside chance one of those fantastic creatures depicted pulled a Leo Gorcey and demanded money for use of their likeness on the cover. Knowing that bands at their level make jack squat from album sales, they’d be thankful to get a dime. While this album cover may not be as highly regarded as that Beatles album, a part of me misses the charm in its simplicity. Another part of me read the original album sleeve no less than five times and couldn’t spot any credit given to a cover designer. If nobody owned up to unleashing this Dirty Dozen, then I suppose there’s no point in wasting another keystroke defending it.